Great news for fans of sixties TV – Adam Adamant Lives is coming out in an impressive five DVD boxset. Adam Adamant is an Edwardian adventurerm frozen in a block of ice by his nemesis, "The Face", only to be woken up in the swinging sixties to fight crime and have his Edwardian morals tested on numerous occasions! 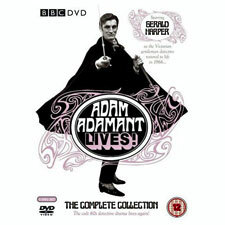 Originally screened in 1966 and 1967, this five DVD set features all 17 surviving episodes, a documentary on the series featuring cast and crew, commentary tracks, a mini-documentary called Adam Adamant’s Wheels, audio from a missing episode, outtakes, scripts of 12 missing episodes, plus a gallery of images from the show, the Adam Adamant annual and the comics. 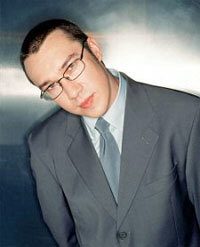 I once emailed Mark Lamarr, in an attempt to book him for a club night I was doing in Manchester. He couldn’t do it, but did actually call me up to apologise for not being able to do it, which makes him a better person than most in my book. Another reason for giving him the time of day is Mark Lamarr’s Alternative Sixties – easily one of the best radio shows around right now. The show’s a mix of across the board underground 60s sounds – and that’s why it works – because it doesn’t try too hard to fit a particular genre. If it’s a decent track from the era, it’s got a chance of a spin. The new series is now on every Monday, from 9:30pm until 10:30pm, on Radio 2. If you’re not around then or not in the UK, you can listen to each week’s show again online at the show’s homepage. 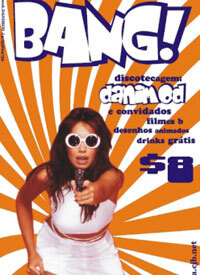 – the page also has tracklistings from the week and the week’s competition.